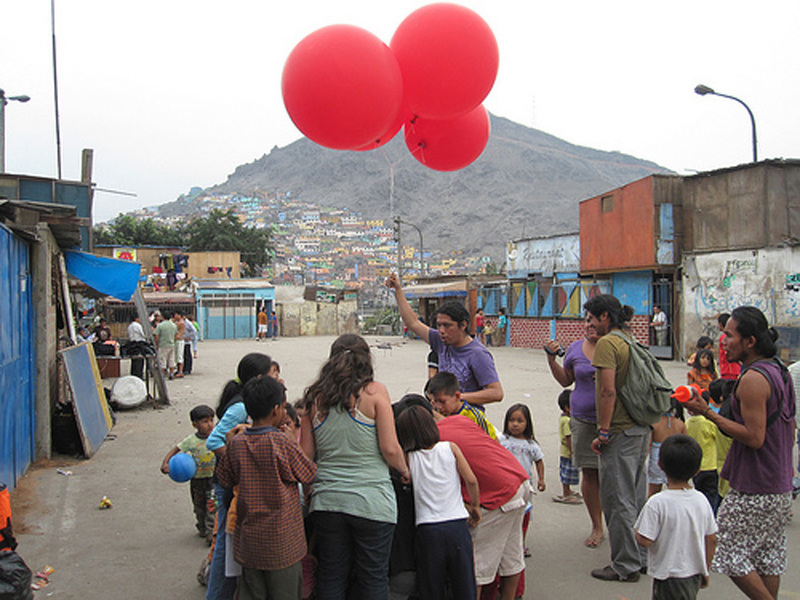 Things We Like: Youth Photo-Mapping Their Communities W/Homemade Balloon Satellites. In this day and age, Google has made satellite imagery of our neighborhoods and important landmarks an everyday reality. It’s such a pervasive part of our existence now, can you remember the day when we didn’t have ready access to such materials? Maybe it’s the lack of coffee, but I can’t. My brain inherently wants to skip from what we have today and the wonderful, mysterious world of Cold War super satellites and faster than the speed of sound spy planes. Remarkably, Google and clan have done such a good job of making these and more images readily available, it almost feels like this type of imagery is now a god given right. I certainly find myself entirely unreasonably annoyed when an area on a satellite map is blacked out for lack of information or the bird’s eye view leaves something to be desired. This sense of entitlement, of ease, of perfection is problematic for a couple of reasons. First and foremost, many people in the world simply don’t have any access to such information; their communities, their home simply don’t exist in the digital Google-verse. On one hand, you might argue that this matters very little and perhaps on some level it does but for many communities in ‘cartographic dispute’, being able to map your area and claim your territory is the difference between moving towards legitimacy and being bulldozed. 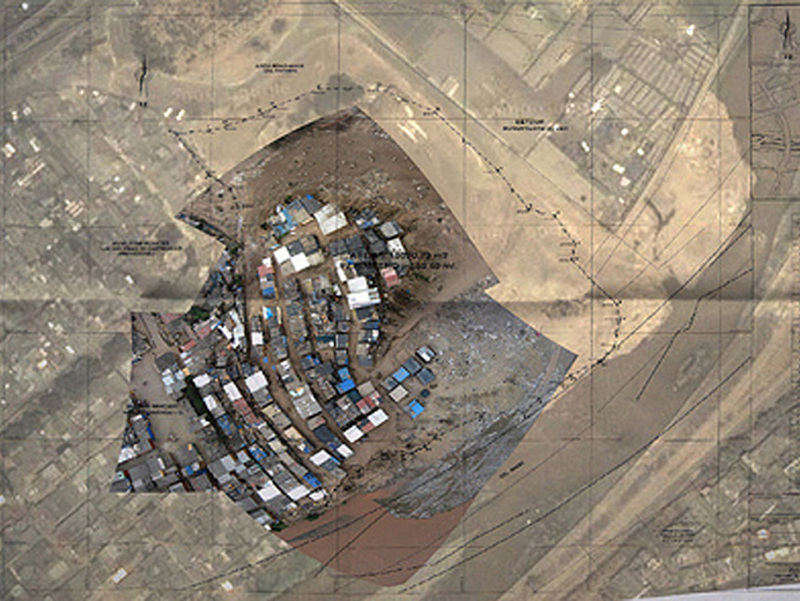 In other cases, either the satellite images are too grainy to be useful, out of date or the community members simply don’t have access to the internet to create the maps necessary to validate their claims to the land. For Jeff Warren and his Grassroots Mapping project (here), it means going to these places and working with community members to make personal satellites out of balloons, kites and cast-off digital cameras. 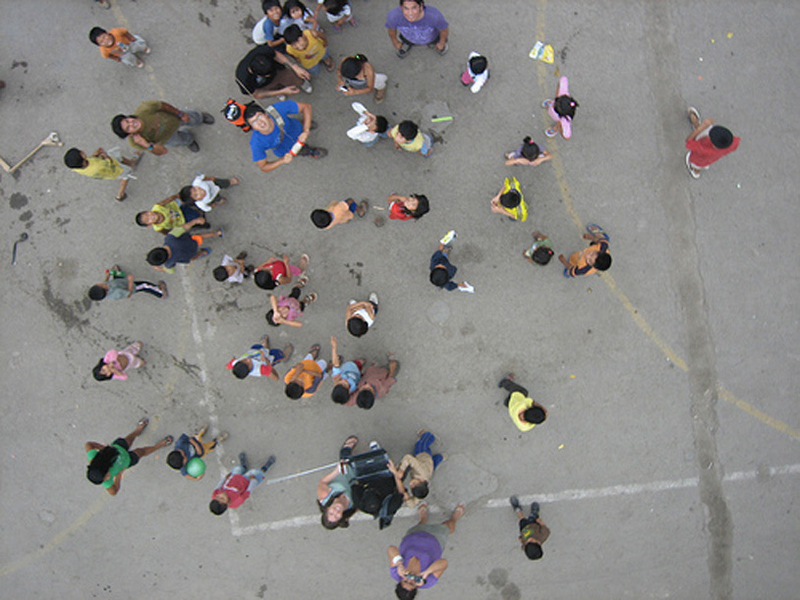 Kids fly the kites, kites take pictures of the community, Jeff helps ‘stitch’ the resulting images together and voila, a really nice, real-time hi-res image of the community that can be used for land disputes, etc..
One of the most ingenious aspects about the project? Community members flying balloon satellites attracts attention, curiosity and is disarmingly wonderful. This in turn builds social capital which can equal a heck of a lot of good things.A little magic and wonder, with a hair of spectacle can go a long, long way.Quite different than using a gps or tape measurer and in my opinion, a mighty fine replacement for the rocket ships, satellites and spy planes of days past. Just a nice reminder of something we believe in very dearly at Public Workshop- sometimes the design of the process is more important than the product itself. Keep up the fantastic work Jeff and we hope to see you in Chicago this summer. Note: All photos and maps are by Jeff Warren. You can see more of his images on his website or on his flickr photostream (here).